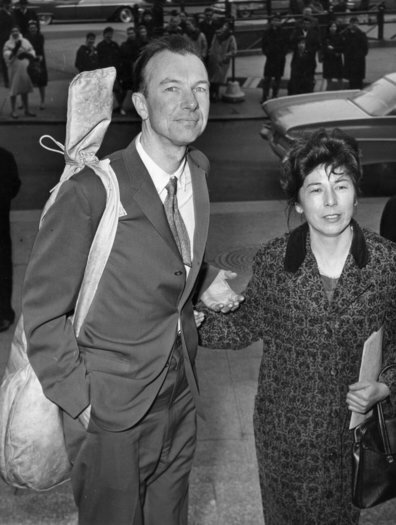 Pete Seeger, with wife, Toshi, at federal court in New York, April 4, 1961, for sentencing on contempt of Congress conviction after refusing to testify before HUAC. Photo by AP. When I think about it, the idea that Pete would survive Toshi for long was pretty silly. Pete famously referred to Toshi as “the brains of the family.” She walked on last year at age 91; Pete this year at 94. It’s not rational to complain about any human life span in the nineties, but particularly when the lives were as full as those of Pete and Toshi Seeger. Pete, like Nelson Mandela, had connections with the Communist Party, which did its best to co-opt the civil rights movement as it later co-opted national liberation movements. I am reminded of an elderly (by my standards at the time) poet, John Allschwang, who befriended me in Milwaukee when I was newly released from the service and had not yet breached the walls erected to keep high school dropouts like myself away from universities. It took a lot of abuse to convince the Old Left that democracy cannot survive an attempt to impose socialism from the top down. Illusions die slowly, and some were never convinced. The reality of the Comintern was submerged in the evil machinations of Joe McCarthy and his ilk. “My enemy’s enemy is my friend” was dangerous then and now. On the left, that analysis led to a very slow recognition that there really was an “Iron Curtain” and every time a crack opened in it people would flee. On the right, it led to support for a raft of bloody-handed dictators as long as they were willing to make anti-Communist noises. When you have the U.S. doing crazy stuff like supporting the military dictatorship in Pakistan against the world’s biggest democracy in India because Jawaharlal Nehru would not take a side in the Cold War, there’s an understandable tendency to denounce the evil for which you are directly responsible and fear denouncing the opposition is succumbing to the propaganda that is in your face daily. Hauled before the House Un-American Activities Committee, Pete refused to hide behind the Fifth Amendment, because he was offended by the part of a Fifth Amendment claim that says “might tend to incriminate me.” He knew he was not a criminal and did not want to appear to be hiding like one. In the fifties, anything within shouting distance of “Communist,” with or without the capital C, left an entertainer unplayable on the radio. 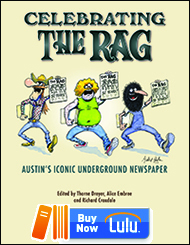 The Weavers — Lee Hays (who did plead the Fifth), Fred Hellerman, Ronnie Gilbert, and Pete — had a long way to fall. In 1950, their toned down version of Leadbelly’s Goodnight, Irene topped the record charts for 13 weeks. The Weavers charted at number four with Woody Guthrie’s So Long, It’s Been Good to Know You in 1951. Their last chart appearances were in 1952 with Wimoweh, a South African folk song that was the basis for a hit by The Tokens much later, The Lion Sleeps Tonight, and Around the Corner. By 1953, Decca Records had terminated their recording contract and pulled their songs from the Decca catalog — sort of like how Stalin would airbrush his comrades out of historical photos after he purged them. The Weavers soldiered on. 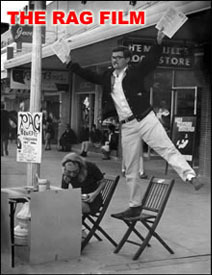 Pete quit in 1958 when the group cut a commercial for cigarettes. In 1961, Pete’s conviction for contempt of Congress was reversed on technical grounds. He never served the time and he would not be retried because the country had, by then, recovered from the madness of Joe McCarthy. Pete the alleged Communist, who was certainly a communist in the same sense Jesus was, was an early, enthusiastic, and life-long supporter of The Highlander Folk School, now known as the Highlander Research and Education Center. My late wife, Donna Mobley, was a graduate of a class at Highlander, in connection with her organizing work for the Amalgamated Clothing and Textile Workers, AFL-CIO. Highlander trained most of the leadership of the Student Nonviolent Coordinating Committee (SNCC) and a lady named Rosa Parks, who became a founding mother of the Sixties civil rights movement when she refused to move to the back of a Birmingham, Alabama bus. As late as the seventies, billboards were up all over the South with a picture labeled “Martin Luther King at Communist Training School.” The picture was of King at a desk in a Highlander classroom. It’s easy to do violence to others, particularly when your cause is just. Militant nonviolence is hard. Indians never had a Highlander Folk School, so when we can’t take it any more, we haul out guns and all the political energy is dissipated in criminal defense. What the organizations most harmed by the FBI’s COINTELPRO had in common was a claimed willingness to do violence. The American Indian Movement has never recovered from its shift from political offense to criminal defense. Toshi was Pete’s manager, and without her he would probably have never made enough money to keep body and soul together. Toshi was Pete’s manager, and without her he would probably have never made enough money to keep body and soul together. Every time I crossed paths with him, he was singing forward some cause in which we both believed, sometimes near paying gigs but more often in complete disregard of paying gigs. In the seventies, he was picking at the anti-war coffee house near Ft. 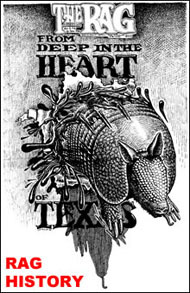 Hood, Texas, the Oleo Strut, part of a tour of GI coffee houses. I was on my way to a civil rights demonstration in San Antonio featuring Rev. Frederick Douglass Kirkpatrick. Pete proceeded to speak into my cassette recorder, “Brother Kirk, I’m sorry I can’t be there with you, but…” He went on at some length about the matter at hand, and the crowd in San Antonio loved it. In 1974, Pete and Kirkpatrick recorded an album, Pete Seeger & Brother Kirk Visit Sesame Street, on which they performed with noted agitators Oscar the Grouch and Big Bird. The album was all traditional folk songs, except for The Ballad of Martin Luther King. Pete and Toshi Seeger built a sailing sloop, the Clearwater, and turned it into a floating platform for a movement to clean up the Hudson River. Pete said of Toshi, “She was the one who steered the boat.” She also cooked up the idea for the funding for the Clearwater Campaign, an annual music festival called The Great Hudson River Revival. I learned of Pete’s death in my morning ritual of scanning The New York Times for my poor attempt to emulate Will Rogers, How Did I Miss That? Yes, an old man cried, but within minutes it came to me how fully Pete had inhabited his times and how lost he must have been without Toshi as I was when I lost Donna. I won’t say the tears stopped, but they were no longer about sadness. They were about gratitude. 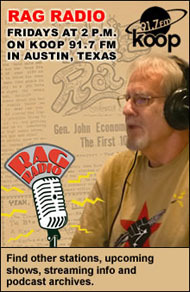 This entry was posted in RagBlog and tagged American Musicians, Cold War, Communism, Communist Party, Deaths, Folksingers, Highlander Folk School, HUAC, Joseph McCarthy, Peace Activists, Pete Seeger, Rag Bloggers, Red-Baiting, Remembrance, Steve Russell, The Weavers, Toshi Seeger. Bookmark the permalink. Thank you for your wonderful article honoring Pete Seeger.